You may have heard of the phrase"composite bonding" or "dental composite bonding". 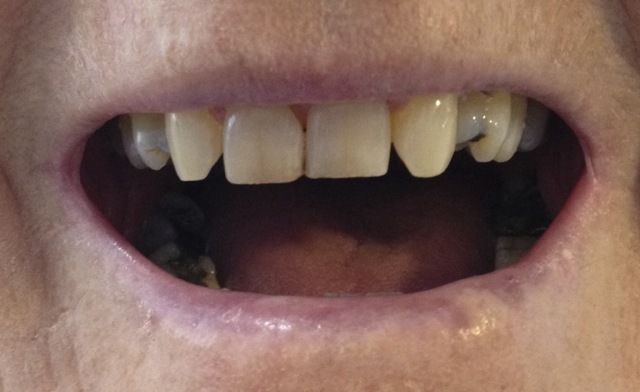 This is a special dental technique for adding tooth-coloured filling material to a tooth, in order to change the shape, the color, or the apparent position of the tooth, or sometimes all three! 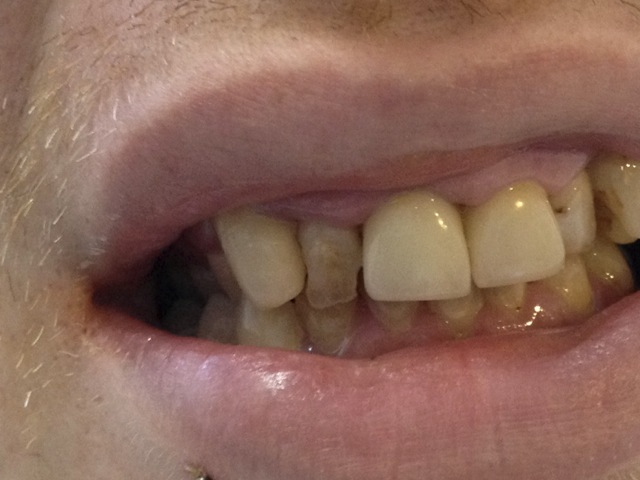 Say, for example, a front tooth is set back slightly from the other teeth on either side. It will look out of line, and may appear to be darker because it is slightly in shadow. 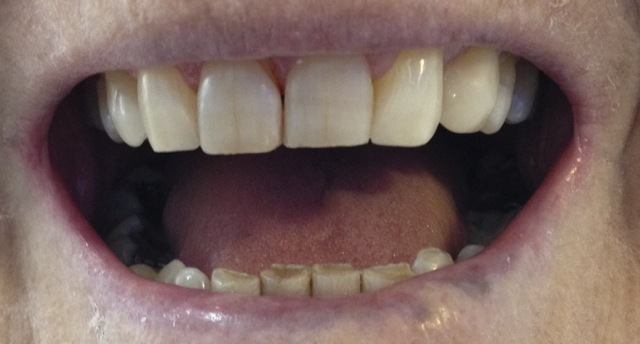 One way of improving the appearance of this tooth is to move it with orthodontic braces. An alternative way is to build out the tooth with a layer of tooth-colored material, like a false fingernail, to bring the visible surface of the tooth into line with the others. This is called "dental composite bonding", because we are bonding a thin layer of tooth-colored dental composite filling material onto the tooth. It is inexpensive compared to orthodontics or porcelain veneers ("laminates"). It usually does not require a shot ( local anaesthetic). Usually, there is no drilling needed on the tooth, or else very little. These four advantages are all linked; you don't need a shot because there is no drilling, (normally just some surface polishing); It is relatively inexpensive because it is quick and doesn't take up much of the dentist's time, and also because the materials used are not expensive when compared to dental porcelain. The colour match may not be perfect, but is usually very good. The composite bonding material is not as strong as porcelain, and may chip. Also, the colour is not as stable as porcelain, and the material itself may become slightly stained over time, although this is usually minimal or non-existent if a good quality product is used. Here are two examples of composite bonding that show how tooth shapes can be changed to make them look better. As you can see, dental composite bonding is a useful alternative to veneers or crowns to improve your smile, which is quick, painless, not expensive, and doesn't need any drilling. PERFECT! 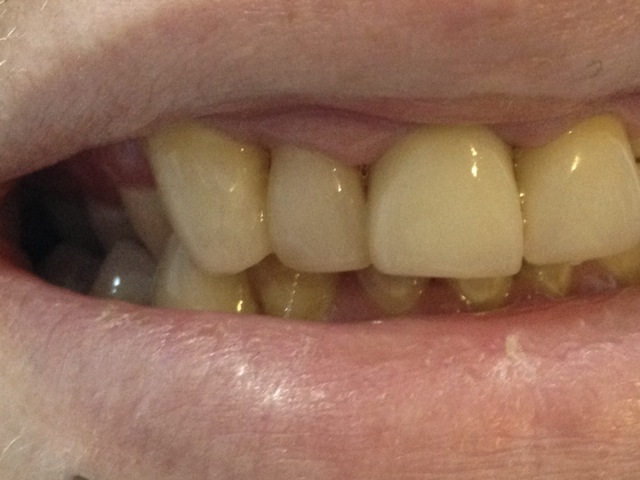 Dental bonding can also act as a long-term "test drive" for possible porcelain veneers later on. If you are thinking of getting some veneers on your front teeth to help align some teeth that are slightly out-of-line, or to improve the color of a dark tooth, you may be a bit worried about how your teeth will look afterwards. By getting some dental bonding, your dentist can simulate what final veneers might look like, without making any permanent changes to your teeth - the composite material can be polished off later if you don't like it, to leave your teeth the way they were before. Bonding is also a LOT cheaper than porcelain veneers, so you can get a trial run to make sure that veneers will produce the changes you are looking for, without the major commitment that normal veneers involve. Definitely a route worth discussing with your dentist!